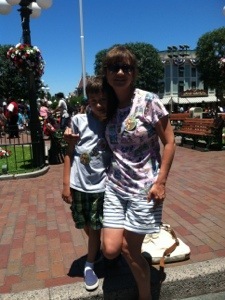 It’s been over a week since our day in Disneyland. Now, with more beautiful agent feedback and lots of thoughtful suggestions, I’m ready to tie up those loose ends in my manuscript. For example, Humphrey was dropped off by a curb near the security check-in. But that area is designated for TRAMS ONLY. I wrote it into the story, and it created a wonderful opportunity to expound Humphrey’s character. It’s funny. One agent wrote notes directly on my manuscript. They’ve been so helpful. Another agent wants to see more of my work. So, although I’m still not represented yet, “at least it’s better than a stick in the eye.” Isn’t it? Being there in person, made a huge difference. 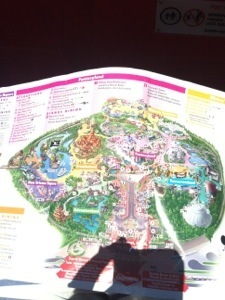 So very happy we went. 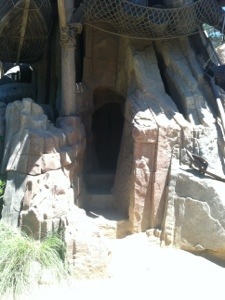 The caves on Tom Sawyer’s island. There’s a myth that a secret vent is in the Bottomless Pit. I’ll be busy here in my summer cottage (little house in the RV park), revising, working on different manuscripts, whenever I get a free moment. But tomorrow, I have a reservation for afternoon tea – and I love tea parties!